Periodontal disease, also known as gum disease, occurs when plaque and bacteria develop in your mouth and cause infections in the gums around your teeth. This infection causes your gums to pull away from your teeth, causing loose gums or pockets around them. If you develop gum disease, you may be in danger of losing your teeth. Luckily, Dr. Brandau can help! By scheduling an appointment with Dr. Brandau, you can recognize the early indications of periodontal disease (bleeding gums, tooth sensitivity, bad breath, etc.). If the condition has advanced beyond these initial symptoms, you may require periodontal treatment. Periodontal therapy should be expected at this point. Dr. Brandau may refer you to a periodontist if additional treatment for an advanced condition is needed. He is well-connected in the Canton area, so you can rest assured you will remain in the best care possible. The objective of periodontal therapy is to repair and re-establish the gum tissue that is loose or damaged. Since the condition may spread from the gums to the encompassing bone, it is crucial to act quickly. Depending on the severity of the issue, you may require surgical or non-surgical treatments. At our office, we can perform the non-surgical strategies, which will heal your gums if the disease has not progressed beyond the surface level. What Are the Non-Surgical Treatments for Periodontal Disease? Antibiotics: If you have an infection beneath the gum line, Dr. Brandau may apply a topical or oral antibiotic agent to help with healing. 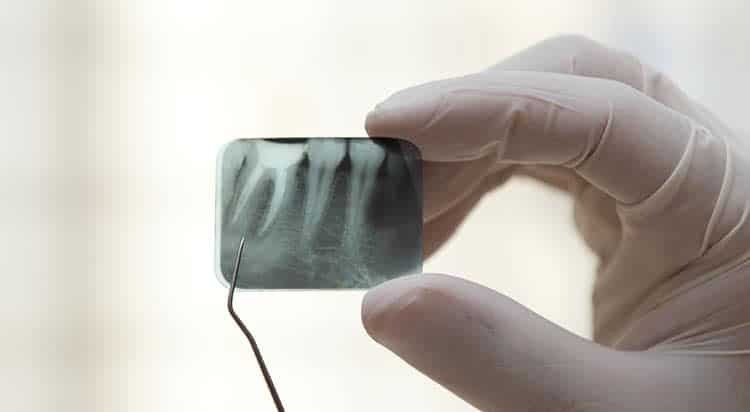 Scaling and Root Planing: These two methods involve deep cleaning your teeth and gums. For scaling, Dr. Brandau will remove all plaque and tartar around the base of any pockets that have formed around your gums. Root planing involves smoothing the underlying foundations of your teeth so bacteria and plaque cannot develop in any divots. This process will allow your gums to reattach to your teeth more easily. If you think you have a gum infection, contact our office for an appointment. We will use periodontal treatment to encourage healthier teeth and gums. Remember, periodontal disease can progress quickly, so don't hesitate to receive treatment - call us today!